It is time to consider how to speed up research and investment in unmanned technologies for use in land warfare. The US is working on this issue in earnest, with great strides made in “manned-unmanned teaming” between Apache helicopter aircraft and unmanned aerial vehicles. This work is being translated to land-based capabilities, according to recent reporting by Jen Judson of DefenseNews, with US Army capability development teams addressing the “complicated undertaking, considering the difficult and extremely variable terrain and the multitude of terrestrial threats that exist on the modern battlefield”. This is not just an academic exercise — with conflict an increasing worry amid growing tensions on the Korean Peninsula. Regardless of the location, warfare on today’s battlefields is apt to be exceedingly lethal, at least initially given current stores of precision munitions and massed artillery. Warfare is also likely to be fought by smaller forces than in the past, with most modern militaries reducing the quantity of their frontline troops based on enhanced firepower capabilities and the commensurate increased cost. Despite the downsides of an adversary’s increased lethality against large bodies of friendly troops on today’s battlefield, there is a reason mass is still a principle of war — it allows military commanders to apply military force against the weaknesses of an enemy, thereby dislocating or destroying them. Another important and typically overlooked aspect of this principle of war is its ability to provide flexibility and overcome uncertainty. Put simply, the more forces you have, the better a military can respond to changes on the battlefield and either overcome surprise in enemy actions, or seize opportunities against them. So how might Australia, a demographically small nation when compared with its allies and adversaries, overcome lack of numbers while also leveraging its highly capable military forces for combat on land? Through the massing of metal. Or more specifically, the employment of low-cost and quickly manufactured unmanned systems that can be used for everything from attack to defence, logistics to communications, and everything in between. With increasing capability of personnel to manage multiple (and up to hundreds) of unmanned systems at once through machine learning and artificial intelligence (AI), the principle of mass will only grow in importance in the future. The development of these ground systems and their inclusion into day-to-day military operations cannot wait for an existential threat, whether to Australia or the US. Additionally, reduced warning times preceding war are inherent in contemporary conflicts, reducing the amount of time provided to defence forces to generate any additional mass for employment. While technology has long been employed by the Australian Defence Force to increase its “punch” while reducing overall force sizes, it is time to rethink that paradigm — or at least complement it. It is time to increase the amount of unmanned technologies we employ in our combat teams by assessing, experimenting with, and employing unmanned ground systems in co-operation with manned formations. This can begin simply by partnering closer with the US Army in their efforts — seen most effectively at this point in manned-unmanned aviation capabilities — but must grow to include land-based systems. To leverage this, the ADF should consider establishing a program office focused on unmanned ground systems to match its current unmanned aerial systems program office. Additionally, the ADF should create dedicated modernisation funds and training opportunities to test ground manned-unmanned teaming capabilities, assess their interaction physically, and for digital interoperability with both armies. Also, because of bureaucratic and authority differences between the Australian and American forces, each has different opportunities to lead aspects of manned-unmanned teaming. Both forces should leverage the other to de-conflict key areas and complement experimentation and acquisitions strategies. Such cross-pollination would have profound effects as the number of like-minded and capable militaries experimenting and sharing capabilities increases. Such work would improve the possibility of developing technologies that can double or triple capacity of our fighting formations, while also providing machine-learning, artificial intelligence, and surveillance and reconnaissance support to soldiers on the ground. This will not only increase the lethality and protection of our men and women, it will increase the flexibility of forces while also providing a hedge against the uncertainty inherent in any battlefield. Nathan K. Finney is the US Pacific Command’s visiting fellow at the Australian Strategic Policy Institute. He is also the creator and co-founder of the non-profit organisation The Strategy Bridge. The views expressed herein are the author’s alone and do not reflect an official policy or position of the US government. 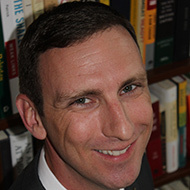 Nathan K. Finney is the U.S. Pacific Command’s Visiting Fellow at ASPI.